Serve the Emperor, join the Imperial Navy, and save the galaxy. Become a recruit of the Imperial Navy under the command of Darth Vader, and pilot space vehicles that will leave you breathless. 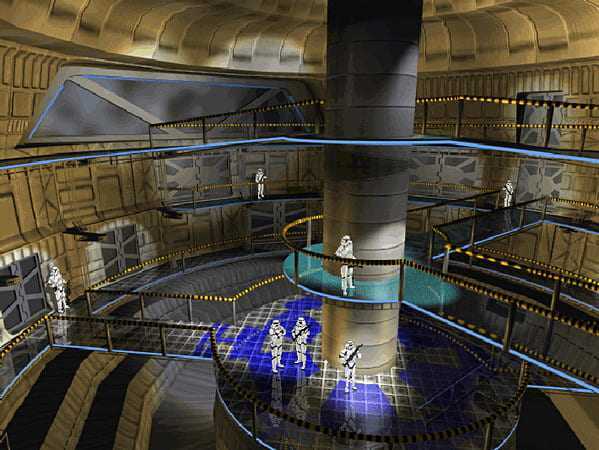 In the wake of the Battle of Hoth, through their treachery at Yavin, the alliance of Rebels and other criminals have threatened the very foundation of the peaceful Empire. The Imperial Navy is called upon to eradicate the last of the rebellion and restore law and order. 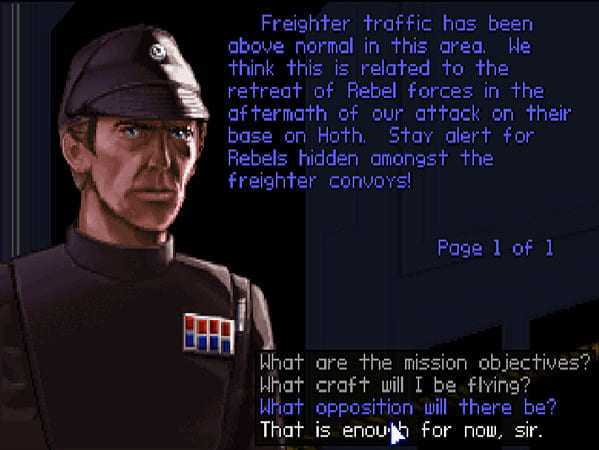 As an Imperial navy starfighter pilot, you will safeguard imperiled lives thoughout the galaxy. Join the Emperor’s cause in eliminating the Rebel uprising as the Empire strikes back! 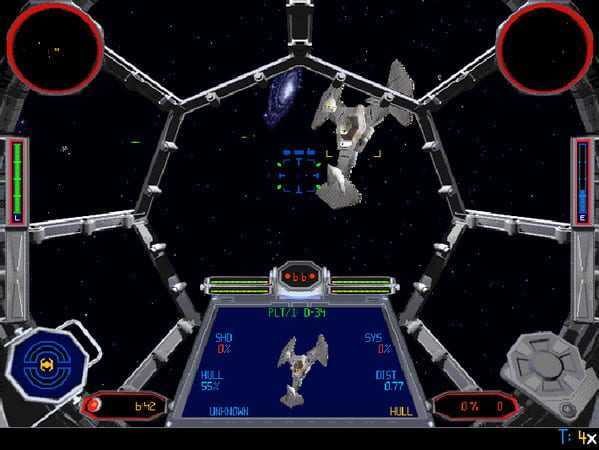 Game Analysis IE Fighter, a 1994 space flight simulator/space combat computer game, is the sequel to Star Wars: X-Wing, and the first game of the series that puts the player on the side of the Galactic Empire.As a space flight simulator game, TIE Fighter puts the player at the controls of various starfighters in space combat against enemy spacecraft. 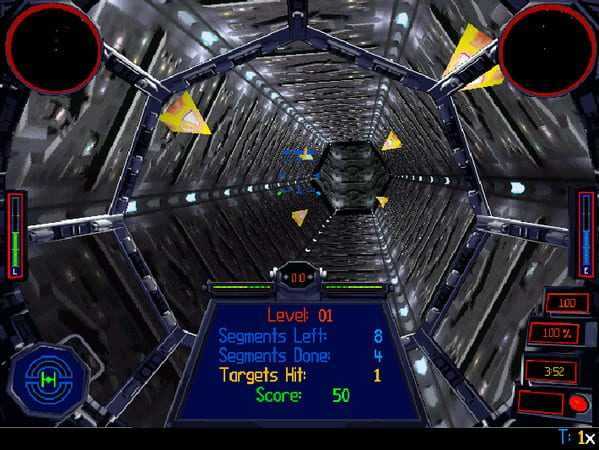 Combat is mixed between dogfights with other starfighters and assaults on larger "capital" starships which often feature powerful turbolasers and starfighter hangars. Players also occasionally engage in noncombat duties such as inspecting passing cargo ships at a checkpoint and escorting shuttles meeting for peace talks, although all missions in the game eventually reach combat. Combat can take place at short ranges using laser weaponry, and long ranges using warhead weaponry. Copyright © 2014 - 2019 SocksCap64, All Rights Reserved. Logos, Trademarks, Pictures Belongs To Their Respected Owners. Powered By WordPress. 116 Queries in 0.595 seconds.